FANS Japan is proud to host the Stitching Time Conference at Yamanashi Gakuin University on 18 March 2017. Helen McCarthy and Steve Kyte are our wonderful guests of honor. 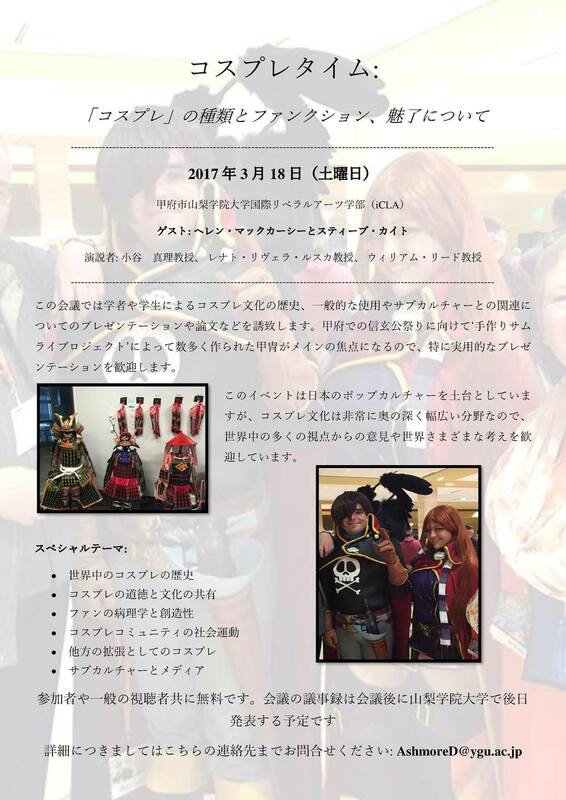 Cosplay, fan activities, social movements, and related fandoms are all on the agenda for our first ever event in Japan. Attendance and participation are both free. Proceedings will be published by YGU Press. See the link above for our flier in English or here in Japanese and contact information. Real time translation will be offered for both Japanese and English.